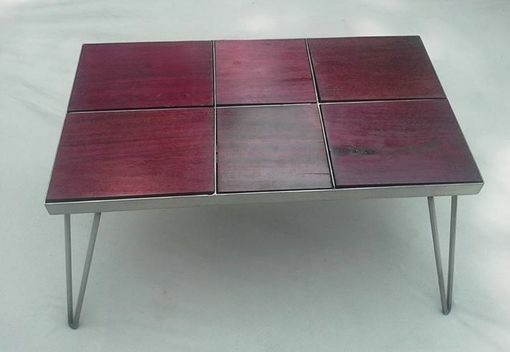 This table is made from reclaimed purple heart. 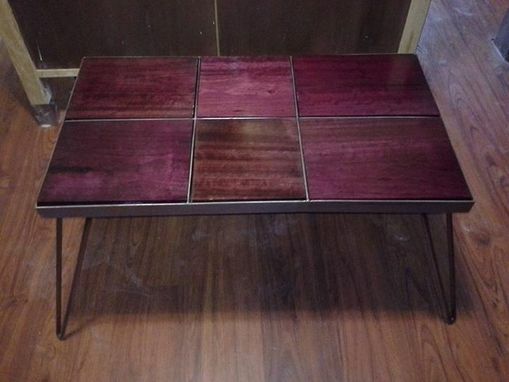 The wood has been carefully milled down and hand rubbed to show off the grain patterns and natural color of the wood. 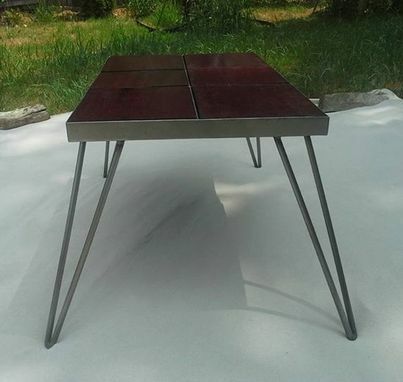 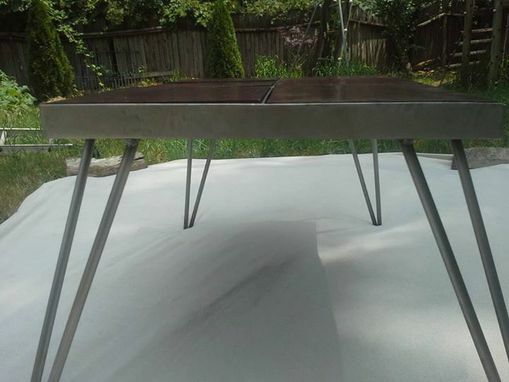 The base is made from mild steel which has been sanded and sealed to prevent rust no all visible areas. 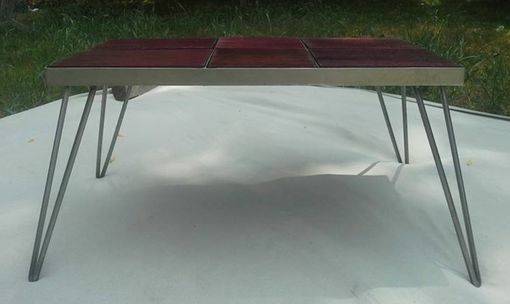 It has hand bent solid hairpin legs.